This article is the first of a new series recognizing individuals or organizations that were among the earliest users of GIStruly pioneers in an unexplored field. These people or organizations understood the advantages of this emerging technology that came to be called geographic information systems and recognized Esri as a viable partner to help them solve their geospatial challenges. Together, these pioneers, partnering with Esri, helped GIS mature into the important multifaceted analysis tool that it is today. 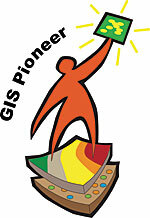 Esri recognizes Jacqueline daCosta as a GIS Pioneer. Jacqueline daCosta, longtime GIS advocate in Jamaica, recently retired from public service after a distinguished career that spanned nearly three decades. "My interest in data on land began in 1972 when I worked in the Ministry of Mining and Natural Resources," says daCosta. "I established a Land Data committee. It was during that time that we got the Land Valuation Department, which had one of the few computerized land data systems, to expand its fields to include many of the areas that it now has. St. Clair Risden was then in charge of the department. A problem was that, although the fields were added, very little was done to fill them. My second attempt was while I was deputy financial secretary in the Ministry of Finance and Planning around 1978. Again, when I left the ministry, the whole effort died a natural death. Hopefully, the Land Information Council of Jamaica [LICJ] and the establishment of the Spatial Data Infrastructure will be around long after I have gone." Working tirelessly, daCosta modernized and reformed the planning, land policy, and land management sectors of Jamaica and has been credited with implementing some of the country's most innovative programs, many of which developed from her interest and involvement in GIS. As a land-planning professional, she is recognized both nationally and internationally for inventive solutions to settlement issues and sustainable development. In 2000, daCosta received the Habitat Scroll of Honour from the United Nations Centre for Human Settlements, the highest international award given by Habitat, for her outstanding contribution to the development of shelter strategies both nationally and internationally. In 2002, The Nature Conservancy recognized her for her service to the conservation of Jamaica's heritage and the preservation of the environment. In 2005, she was awarded the National Order of Commander of Distinction for outstanding and important services to Jamaica. Comments Jack Dangermond, Esri president, "Among Jacqueline daCosta's many accomplishments is her awareness of the capabilities of GIS to make a lasting effect in the quality of life of her fellow citizens. Coupled with her managerial and negotiating skills, she was able to forge cooperative relationships among public and private agencies to implement land reformation and other projects that will benefit the residents of Jamaica for generations to come." The consummate politician, one of daCosta's greatest strengths has been her ability to negotiate agreements that benefit all participants. An early example of this strategy was the cooperative arrangement she developed for LICJ to establish its Geoinformatics Training Centre. The Ministry of Agriculture provided the building to house the center in exchange for the training of its staff, and Spatial Innovision Ltd., Esri's local distributor, maintained the GIS software in return for use of the training facility. However, Jamaica's path to cooperation and coordination of its GIS has not been easy. As a developing country, Jamaica is often the recipient of funding and projects for assistance programs. In the past, the government tended to accept the IT system packaged with the project that was being implemented. The piecemeal introduction of various IT solutions made it difficult for the country to establish national standards. Because the implementations were project focused rather than nationally focused, the integration of data on a large scale became very complicated. "When we chose our GIS in 1992, the LICJ had the foresight to build its system using Esri software," says daCosta. "Because of Esri's strength, reputation, and standards-based software, it was not hard to make that organizational decision." Nevertheless, the Esri solution was not readily adopted throughout the island. At that time, some government agencies did not see the advantage of sharing data with other agencies, resulting in a collection of isolated GIS implementations. The challenge for daCosta was convincing those managers and directors of the benefits of giving up a little control of their departments' GIS. She was able to successfully persuade policy makers that by making their own georeferenced data available to other agencies, they could run more efficient departments. The availability of additional data would enable them to make more informed decisions. Additionally, they could better serve the needs of the residents of the country as a whole. Another example of daCosta's diplomatic expertise was her ability to convince the government to allow her team of GIS professionals, including some Esri representatives, to explain the technology to officials at a Jamaican cabinet meeting. The cabinet agreed to allow them just one hour for their presentation. However, once the cabinet members saw the potential of GIS, they had many questions and the meeting was ultimately extended to three hours. "This is the type of education that is needed in order for government officials to realize how important and advantageous a GIS is to a country," observes daCosta. Over the years, daCosta held various positions in the Jamaican government, including deputy financial secretary, planner, research analyst, consultant, senior advisor to the Most Honorable Prime Minister P. J. Patterson, and director general and permanent secretary. Some of her major accomplishments include the development of the National Land Policy of Jamaica; creation of the Land Information Council of Jamaica; creation of a National Spatial Data Infrastructure for Jamaica; implementation of a nationwide, large-scale mapping project; and development and funding of Jamaica's GIS in Schools program, for which she was able to raise more than US$1 million for software, textbooks, and computers. Elected to senior positions in many professional organizations, daCosta served as both the president and vice president of the Commonwealth Association of Planners, as well as the president of both the Professional Societies Association of Jamaica and the Jamaica Institute of Planners. She also chaired and held membership on numerous boards and committees. The citation presented at her retirement celebration reads, in part, "Mrs. daCosta is an outstanding, multitalented leader and innovator, her strength of character and tenacity have served her well, as she sought to modernize and reform the planning, land policy and land management sectors, through improving legislation, practices and processes locally, regionally and internationally. A champion and advocate in her fields, she has shared her knowledge, expertise and experiences and has inspired many to achieve beyond their expectations. A visionary, she is a leader who has left an indelible mark on the land, planning and environment portfolio. We wish her long life, happiness and continued success." For more information, contact Cecille Blake (e-mail: cblake@cwjamaica.com).